Cheshire East Council’s youth support service came up with an ‘in-genie-ous’ design to be awarded a distinction by judges for their amazing garden at the Tatton Park RHS Flower Show. Themed around the story of Aladdin, the garden was a magic carpet of colour conjured up by students from Wilmslow High School and Handforth Youth Centre. Their creation was awarded a distinction in the ‘best high school garden’ category and this is the second year in a row that the Council’s youth support service has won this award. Young people from Handforth Youth Centre created an ‘Arabian nights’ tableau containing a mosaic, a magic carpet and a serpent, applying a busy and creative use of marigolds, lobelia and an array of other colourful plants. About 40 young people, from several of the Council’s youth support service projects around Wilmslow and Handforth, have been involved. After the show, the garden was re-located to Oakenclough Children’s Centre, on Colshaw Farm, where the community is now able to enjoy it. As part of the Council’s determination to be open and transparent, Cheshire East Council’s audit and governance committee is adding an additional safe channel for ‘whistleblowing’ by officers, elected members, or others working for the Council to report concerns about the conduct of Council business. The committee has voted to allow whistleblowers to contact the committee’s members directly, as an alternative to raising concerns with Council officers, the trade unions or the police. Councillor Lesley Smetham, chair of the Council’s audit and governance committee, said: “Cheshire East is firmly committed to the highest possible standards of openness, honesty and accountability and does not tolerate malpractice or wrongdoing. “We value our employees and those working for the Council delivering services to the people of Cheshire East and, as such, we need to know when things may be going wrong. “Members of the audit and governance committee would like employees, Councillors, or others working for the council to know that they are welcome to bring concerns about possible wrongdoing directly to the chair, vice-chair or any member of the committee, in confidence, in order to help us further improve how we as a Council serve the people of Cheshire East. The Council’s whistleblowing policy is intended to encourage and enable employees, elected members and others working for the Council to raise serious concerns within the Council or with appropriate external bodies, in confidence. The whistleblowing policy provides a structured and safe route for individuals to raise concerns, rather than ignoring a problem, or publicising their concerns in a manner which could unfairly damage the Council’s reputation, impede proper investigations or unfairly detrimentally impact individuals. Cheshire East Council is in the running to scoop five prestigious national awards for excellence in public service. The local authority has five entries shortlisted in the Association for Public Service Excellence (APSE) Service Awards 2016. ● Best service team: construction and building service – for the new £15m Crewe Lifestyle Centre. Councillor Rachel Bailey, Leader of Cheshire East Council, said: “This is fantastic news and recognises just some of the excellent and innovative work the Council’s dedicated teams and our arm’s-length companies are delivering for local people. As an example of the innovative work being undertaken by the Council, the ‘best community and neighbourhood initiative’ entry saw the Council support a community-led project that has recycled more than 55,000 Christmas trees and raised more than £675,000 for East Cheshire Hospice during the past 16 years. The trees are used to create a much-needed natural soil improver for farmers. The award winners will be announced at a ceremony in September. A month-long consultation to allow the people of Middlewich to comment on transport and travel issues in the town is to begin in mid August. Three public events are planned to allow for the widest possible public engagement. Residents and businesses participating in the consultation will also be able to view the latest progress on plans for a bypass for the town, which will be the subject of a further consultation once a proposed scheme has reached its formal planning stage. The views of residents and businesses will be sought on public transport provision, including bus services, road safety concerns, walking and cycling routes and it will address the question of planning for a railway station in Middlewich. Cheshire East Council Leader Rachel Bailey said: “Cheshire East is working hard to deliver a solution for the transport issues facing the town and its residents. “We are a listening authority and the views of those contributing to the consultation will be listened to and taken into account. “We are determined that residents should have their say and the opportunity to influence and shape an overall action plan on transport. This will look at short and longer-term solutions. Public drop-in sessions will take place in the town, where local people can speak with Council staff and pass on their comments. The consultation will begin on August 15 and end on September 16. Public events will take place on August 25, September 3 and September 13, the details for which will be announced nearer the time. These events will also inform residents, businesses and stakeholders of the work done by the Council to date and the current programme for tackling some of the issues facing Middlewich. Cheshire East has reopened a pavilion after a £450,000 refurbishment to boost sporting opportunities and facilities in Crewe. The pavilion at the King George V Playing Fields, on West Street, was opened by Cheshire East Council Leader Rachel Bailey at an event attended by the Football Association, the Football Foundation and local community groups. The grant to refurbish the pavilion was secured in autumn 2014 after the building was identified by Cheshire Football Association as a high priority in the Borough. The pavilion has close ties with George’s Community Centre, which aims to provide refreshments to the teams and supporters, who will use the facilities on match days. The community centre will additionally provide access for other community activities. The new high-quality changing room facilities at the pavilion will encourage increased sporting opportunities for residents through better accessibility and support mixed sport. Improvements to drainage on the pitches will allow for more football matches to take place, where waterlogging was previously a problem. Speaking at the event, Cllr Rachel Bailey said: “It’s wonderful to be here today opening this tremendous new pavilion, which I know will help to further improve the levels of sporting participation in Crewe. The LATH group (Looking After The Homeless, http://www.lathgroup.org.uk) held their second annual Open Day in Crewe on Saturday 16th July 2016. This took place at the disused former 'Bed Centre' shop at 38 High Street, Crewe, that the LATH group have converted into a drop-in centre to help homeless, vulnerable and lonely people. The centre features a recreation area, lounge area, computer facilities, telephone service, toilet block, kitchen and dining area. The event included a welcome drink at the door, light refreshments throughout the day, a raffle, a prize quiz, a pool competition, and a chance to talk to the group’s hard-working volunteers. Bernard Potter (Chair of The LATH Group) gave a PowerPoint presentation about how The LATH Group developed from an idea obtained from a talk by a Salvation Army Officer in 2009, to a full blown registered charity, offering sustenance, advice and assistance, and practical support to the most vulnerable in the community. The event was attended by Crewe and Nantwich MP Edward Timpson, Mayor of Cheshire East Borough Council Councillor Olivia Hunter and her Consort Philip Boulton, Mayor of Crewe Councillor Marilyn Houston, Mayoress of Crewe, Pauline Kowalski, Father Jerome of St Mary's Roman Catholic Church, The LATH Group trustees, The LATH Group volunteers and members of the public. Bernard Potter (Chair of The LATH Group) said, "We were pleased that the open day was so well attended. We would like to thank the dignitaries, sponsors and visitors for taking the time and trouble to support The LATH Group." The LATH Group is run entirely by unpaid volunteers and most of its funds comes via donations and its own fundraising, with some corporate support by way of groceries from Marks & Spencer, Morrisons, the SPAR shop (Rope Lane), and other support from the FRESH Group of businesses. The LATH Group's next planned fund-raising event is a music concert featuring ‘Ukey Monster’ at Wistaston Memorial Hall, Church Lane, Wistaston on Saturday 22nd October 2016 (7:30pm). She said: “Cooking and being in the kitchen has been a part of my life for as long as I can remember. But I know that's not always the case these days as we live busier and hectic lifestyles. Nadiya will showcase a range of dishes from her latest publication, Nadiya's Kitchen, and she will also be signing autographs for her latest book launch, entitled Bake Me A Story which contains recipes for children to bake. Two craft beer enthusiasts have opened Nantwich’s first bottled beer shop in the Swinemarket area of the town. The successful Beer Dock concept breaks the traditional bar mould, with floor-to-ceiling shelves carrying beers, lagers and ciders from across the globe. There is also a tasting area with ten craft beers on draught, all set in a relaxed environment with a central seating area that encourages conversation. The UK craft beer scene has boomed in recent years, and Beer Dock franchisor Sam McGarrigle believes that Nantwich was the perfect location to expand the business. “We pride ourselves on stocking one of the largest selections of bottled beers from around the world, but we remain committed to offering a wide range of beers from Cheshire breweries, which all helps to boost the local economy,” he added. The new Nantwich franchise is run by Jon Mitchell and Mike Ramm. The pair are well known in local circles, especially for making Dabbers laugh at their popular Civic Comedy nights. With Nantwich already famous for its bars, restaurants and events like the Jazz and Food Festivals, the pair were confident that an independent bottle boutique would be well received. “We are both passionate about the area, and being able to bring something truly unique to the town was an opportunity we couldn’t miss." As well as the original unit in Crewe, Beer Dock is also planning an outlet in nearby Alsager. In the run up to the Rio Olympics, Cheshire Fire and Rescue Service would like to urge residents to GO FOR GOLD and be fire safe. An independent fire risk assessor has been given a four month jail sentence, suspended for 12 months, and ordered to pay £1,000 costs after 'paying lip service' to assessing a Cheshire care home. At the same hearing before Judge Tina Landale at Warrington Crown Court on Thursday June 23, Surrey-based nursing home company Minster Care was fined £40,000 and ordered to pay £15,000 in costs after pleading guilty to serious breaches of fire safety regulations at Croftwood Care Home in Runcorn. Welcome to this, my 169th news bulletin. Crewe and Nantwich is often referred to as the ‘gateway to the North West’. It can sound clichéd, but it’s important that we recognise that we aren’t an island, and that we work closely, both in business and in government, with organisations and industries across our region. I know it can be tempting to become exasperated when we hear the words ‘Manchester’ and ‘Liverpool’ all the time: the national media can be very city-centric. But we mustn’t forget that what benefits these conurbations can also benefit us: in jobs; in the public sector; in transport. The five Local Enterprise Partnerships in the North West will benefit from Local Growth Deals creating up to 38,000 jobs. Together with the British Business Bank and Local Enterprise Partnerships in the North West, Yorkshire and the Humber and Tees Valley we are creating a Northern Powerhouse Investment Fund of over £400m to invest in smaller businesses. This includes £7m to establish a Northern Powerhouse Investment Taskforce bringing together UK Trade and Investment, Local Enterprise Partnerships and Combined Authorities, and £15m for trade missions and events to showcase the North and maximise export potential. The Chancellor of the Exchequer signed a devolution agreement with Greater Manchester in 2014 and with Liverpool in 2015. The agreements will result in devolving new powers and responsibilities and a directly elected Mayor for each city region. Both deals were extended in the 2016 Budget, with Manchester working towards greater responsibilities over social justice and Liverpool working closer together with Government on key areas such as health and housing, along with developing pilots to trial 100% business rate retention. Cheshire hasn’t decided to go this way yet, but we’ll be watching and learning from these two examples. £5m for a great exhibition in the North, which will celebrate the great art, culture and design of the North and £15m for a Great Exhibition Legacy Fund for future cultural investment in the North. This investment includes £60m for HS3 between Leeds and Manchester to develop options to reduced journey times to 30 minutes and £3.75m to support the development of HS2 growth strategies. There is also £161m to Highways England during this Parliament for major improvements to the M62 between junctions 10 and 12 (Warrington to Eccles) and junctions 20 and 25 (Rochdale to Brighouse). There will also be £75m for work on a new TransPennine tunnel between Sheffield and Manchester, as well as options to enhance the A66, A69 and the North West quadrant of the M60. But these are not isolated projects. Over the past five years both we in Crewe and Nantwich and the country more broadly have been on a long journey, out of a great recession into one of the fastest-growing economies in the developed world. Make the North West a global centre for science and innovation by making major investments in the region’s great universities and NHS teaching hospitals. So let’s remember that we’re part of something bigger. Whilst we’re more than playing our part in South Cheshire in growing new businesses and creating new jobs, we need to remain outward-looking to the rest of our region, and to the West Midlands, to take advantage of the opportunities they have to offer. We in Crewe and Nantwich are uniquely placed to do so, and should do all we can to cement our position in that Northern Powerhouse of the future. Attended Crewe Central TCC's 'Festival of Table Tennis', at Springfield School, and received a one-to-one lesson from 11-time English champion Desmond Douglas. Met young people organising social action projects in Crewe, as part of their National Citizen Service (NCS). Celebrated the community and charitable achievements of local people at The Cat Community Awards night, at Nantwich Civic Hall. As many of you will know, this year I ran the Virgin London Marathon in support of The Christie – a fantastic hospital and cancer centre which treated my late mother, Alex. The Christie provide a networked service to the population of Greater Manchester and Cheshire, and aim to deliver care as close to a patient's home as possible. Donations from the public, on top of NHS funding, make a huge difference to their services - and I know, in the last 18 months of Mum's life, that we all took great comfort from the way the centre's hugely professional and sensitive staff went about their business. The atmosphere on race day, Sunday 24 April, was incredible. The weather was near-perfect, and almost every section of the 26.2 mile route was lined with well-wishers. Their support, and the poignancy of this year's effort, really spurred me on, and I was pleased to finish in a time of 3 hours 50 minutes - only 8 minutes shy of my personal best! A huge thank you, again, to those who supported me and this cause – together, we raised £4,118! 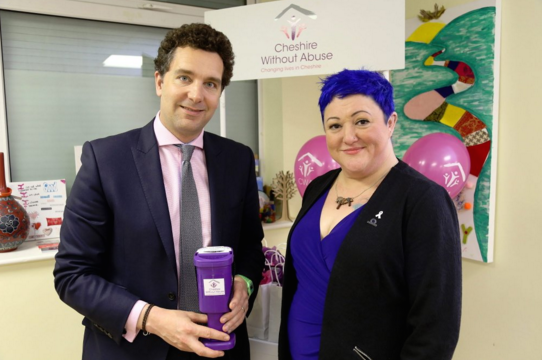 Some weeks ago, I accompanied Baroness Susan Williams and Karen Bradley MP, then Minster for Preventing Abuse and Exploitation, on a visit to the Crewe-based charity, Cheshire Without Abuse. Formerly known as Crewe Women's Aid, the charity was founded by the late Lily Jones in 1977 to provide temporary accommodation, advice and practical help to women and children escaping domestic abuse. They offer a wide range of advice, support and information for anyone who is currently or has previously experienced domestic abuse as an adult or child. Domestic abuse is physical, sexual, psychological, emotional or ﬁnancial abuse that takes place within an intimate or family-type relationship, and that forms a pattern of coercive and controlling behaviour. This can include forced marriage, so-called ‘honour’ crimes and female genital mutilation. Domestic abuse may include a range of behaviours, not all of which are, in themselves, inherently ‘violent’. For more information about the services and support offered by CWA, visit the website: http://www.cheshirewithoutabuse.org.uk. On Sunday 12 June, I joined Crewe and Nantwich residents to celebrate the Queen's 90th Birthday. The day kicked off with an afternoon tea party for pensioners, aged 90 or over, at Nantwich Methodist Church, and included a hearty lunch and performances by local choir group, Nantwich Young Voices. 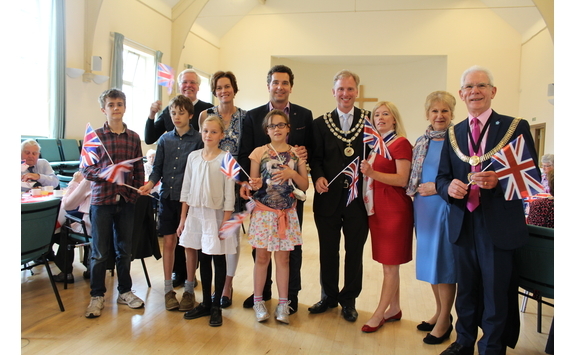 This was followed by a free evening concert at St Mary's Church, which reviewed the Queen's life, across her nine decades, through music and dance - and culminated with a mini ‘Last Night of the Proms’ and a 'birthday sing-along', led by the Town Crier. Celebrations concluded with a specially-arranged firework display in Nantwich town centre. 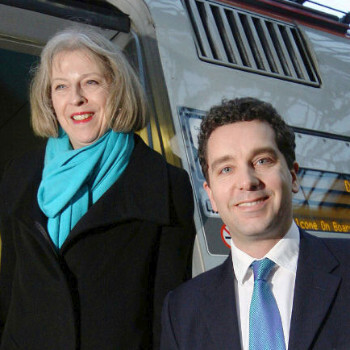 Crewe Chronicle: Crewe and Nantwich MP Edward Timpson has given his full support to incoming Tory Prime Minister Theresa May. 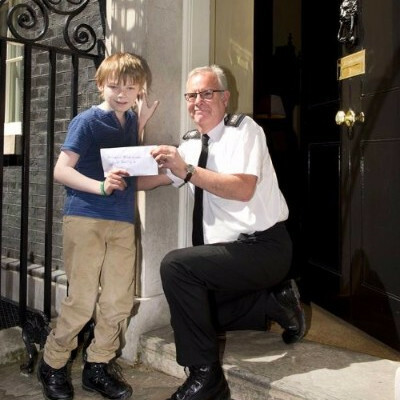 Crewe Chronicle: Edward Timpson MP arranged for Ben Baddeley to hand-deliver a petition to Number 10. 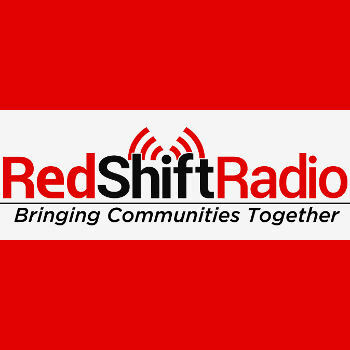 Edward Timpson MP joined RedShift Radio DJ, Liz Southall, to talk about his life and career, and to play some of his favourite songs! The inaugural Love Crewe Mission Week took place in Crewe from Monday 4th to Sunday 10th July 2016. The Mission Week was organised by ‘Love Crewe’ who are comprised of twelve churches serving the Crewe area. Events and activities included performances by four-piece band ‘BrightLine’ at four local high schools and at the Carlsberg Suite, Crewe Alexandra FC; Jonathan Conrathe from Mission 24 speaking at four local high schools; a free meal was served at The Lighthouse Centre on Stewart Street; volunteers completed gardening, painting and clean-up tasks around the town; a healing event took place at West St Christian Fellowship; a free tea/coffee stall on the Crewe town square; there was an open air meeting on the town square; an art exhibition at Queens Park; and an evening celebration on the final day at the Carlsberg Suite, Crewe Alexandra FC. Unfortunately the Free Fun Day was postponed due to wet weather, but it will now take place on Sunday 21st August 2016, from 2pm, at Queens Park, Crewe. It will include stalls, music, theatre and more. Love Crewe Mission Week was supported by Crewe Town Council and allowed Crewe churches to promote a positive atmosphere within the town. For further information please visit http://www.lovecrewe.co.uk/ , or contact Phil and Emma Howell on 07906616373 or 07525650483. At today’s children and families overview and scrutiny committee meeting of Cheshire East Council, members agreed to refer the matter of walking routes to school back to the Council’s Cabinet for further consideration. A Council spokesman said: “It is the responsibility of the Council to identify available walking routes to schools in accordance with government guidelines and policy. The Mayor of Cheshire East has started a weight loss programme – and she’s looking for your support. Councillor Olivia Hunter is supporting Cheshire Young Carers and The Christie charities over the course of her mayoral year and her first fundraiser will be a weight-loss programme. Cllr Hunter said: “Deciding on which organisations to support was a very difficult decision. We are blessed in Cheshire East with so many charities doing incredible work and we should be very grateful for the time and effort they put into making a vital contribution to our communities. “It was when I discovered that children as young as six can become carers for parents or siblings losing their childhood. This can lead to them becoming isolated, both from other children and society in general. 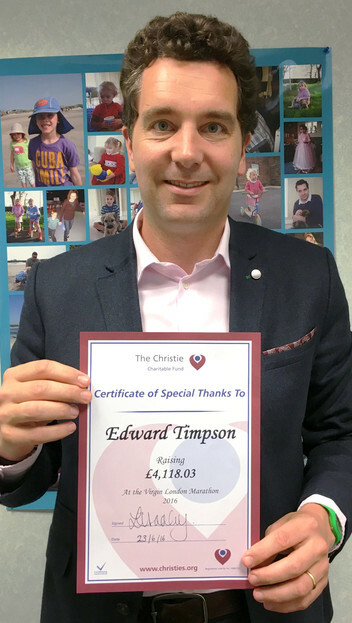 The Christie is one of only two centres in the country to have the new proton beam therapy treatment. The mayor’s weight-loss programme, along with other events to follow later in the mayoral year, will generate much needed funds to house the life-saving equipment needed to provide vital cancer treatments. So the Mayor is asking for everyone to support her challenge and sponsor the pounds she loses in the next 14 weeks leading up to her charity ball. The more you offer, the greater the incentive to shun her beloved chips and prosecco. The people of Bosley, affected by the wood flour mill disaster a year ago, have hailed last weekend’s commemorative activities as a success that helped the community to come together to reflect and remember the events of July 17, 2015. Four people – Dorothy Bailey, Williams Barks, Derek Moore and Jason Shingler – died in explosions and a huge fire at the wood treatment plant, with many more injured, properties extensively damaged and employees put out of work. A flower festival, a day of family activities and two religious services on Sunday were all well attended and an estimated 130 people attended a service in a marquee on Sunday morning, with a similar number present in the evening service at Bosley Chapel. Sam Alston, chairman of Bosley Parish Council, said: “It went very well and the services were exceptionally well attended. The Rev John Harries, Vicar of Bosley, said: “The weekend of events provided a valuable opportunity for the community to come together in many ways and feel supported. Representatives from various agencies involved in dealing with the disaster, its aftermath and lending ongoing support to the community, joined in the religious services and took part in some of the activities, including a tug of war. Jane Nixon, one of the organisers, said: “We were very pleased with the way all the events came together and with the overwhelming response we had from the people of Bosley and the wider community. “We are very grateful to the press and broadcast organisations for respecting our wishes to allow us to carry out these events in private. Members of Cheshire East Council’s partnerships and communities team continue to lend support to the people of Bosley and the wider community. Councillor Paul Bates, Cabinet member for communities and health, said: “At the evening service, the minister commented on the work done by the Council’s community teams. This was very much appreciated. Although the Bosley disaster fund, which had reached an amazing £240,000, has now officially closed, a further fundraising event is planned in aid of charities and organisations which played a part in supporting the community. An all-stars football match will take place on Sunday (July 24), at Macclesfield Football Club. Celebrities from television’s soaps Emmerdale and Coronation Street will help to raise money for the Air Ambulance service and other charities. The Wistaston Singers performed a fund-raising concert at St Stephen’s Methodist Church, Gainsborough Road, Crewe on the afternoon of Saturday 16th July 2016. Phil Houghton was the Musical Director and also introduced each song and soloist. During the concert Wistaston Singers sang songs from 42nd Street, Mamma Mia, and Les Miserables as part of an extensive programme. Conductor Phil Houghton also played the organ. Chris White sang and played his ukulele. Jane Hale was the Accompanist and also played the flute and alto saxophone. There were also many soloists within the choir. The audience was encouraged to sing along to the Last Night of the Proms finale which included Rule Britannia, Land of Hope and Glory and Jerusalem and to join in singing the National Anthem. Drinks, cakes and strawberries were served during the interval. Proceeds from the concert will go to Church and Choir funds. A Garden Party in aid of Diabetes UK took place on the evening of Wednesday 13th July 2016 at 6 Westfield Drive, Wistaston, Cheshire. Sheena & Ken Sambrook once again allowed their house and front & back gardens to be used for this annual event, which always takes place on the second Wednesday in July. Entrance was 50p and included a tea or coffee, strawberries were available for sale and there were stalls selling cakes, jams and bric-à-brac. There was also a prize raffle. More than eighty people attended over the course of the evening including Madam Mayor of Cheshire East Borough Council, Councillor Olivia Hunter and Consort Philip Boulton, along with the recently crowned Wistaston Rose Queen (Emma Horne) and her Attendant (Emily Edge). The Mayor and Consort were chauffeur driven to Wistaston in the Mayoral Bentley by the Mayors Officer Clive Bradshaw. The two authorities have been granted leave to appeal against the court’s interpretation of paragraph 49* of the Government’s National Planning Policy Framework (NPPF). We are currently working with operators to provide cover for bus services across Cheshire East to replace services formerly operated by GHA Coaches. Further to yesterday’s update, we are pleased to announce that the following services will be running from the dates below. Timetables will remain the same unless specified. It is possible, however, that some journeys may be missed. We will continue to work on the other routes to ensure as much of the bus network as possible is running. TSS has secured five temporary buses and has appointed on a casual basis all of the drivers and escorts who worked on the contracts for GHA. They start work today. Where outstanding issues remain, transport will be doubled up, as yesterday, to ensure that all pupils get to school. Cheshire East pupils were transported yesterday by Malbank Coaches who will provide the service for the remainder of the term. Ladyline Travel started yesterday to provide this service for the remainder of the term. The majority of pupils will be able to travel as normal on local services as we have secured contracts with operators, the majority of which have commenced today. The 200 service, which transports pupils to Wilmslow, will be operated from Monday by D&G. TSS will ensure that services are in place for the start of the Autumn term. We are in discussions regarding the Flexirider service and 78 service (Saturdays). Cheshire East Council wishes to assure residents and schools that we are doing all we can to mitigate the impact of the sudden loss of services by providing alternative transport where possible. Unfortunately we may not be able to cover all services affected. We would ask our residents to bear with us during this difficult period. Crewe Mums and babies are benefitting from a 24 week fitness programme funded by Active Cheshire, starting with a walking group called ‘Happy Feet’. Local Community Organisation, Motherwell CIC, have received funding to advertise, organise and deliver the programme in Crewe and Winsford for Mums in the area. Initially aimed at young Mums, the programme has now welcomed Mums of all ages, with their babies, to participate in the weekly walk. The Mums have completed their first walk and will continue to use Crewe’s beautiful setting of Queens Park as Monday afternoon’s base for future ‘Happy Feet’ sessions, part of Rise and Shine Challenge. After six weeks, the Mums will move to meet at The Georges in Crewe for free Mother and Baby Yoga classes. Mums across the area are encouraged to join the group at any point during the programme, taking the first step to meeting new people and improving fitness. Laura Brown, from Nantwich, said: “I loved Baby Massage when I tried that, but it became too expensive. This Motherwell initiative gets rid of the expense barrier, because it’s funded by Active Cheshire. Kate Blakemore, co-founder of Motherwell CIC, said: “Motherhood can at times be isolating and this initiative will bring Mums together and hopefully encourage them to use our other services, all of which support their wellbeing. Motherwell CIC work with Mums across the region to support women in their mothering journey, with a focus on health and wellbeing. They hold monthly Sparkle and Shine Wellbeing Days in Crewe, Winsford and soon coming to Nantwich, which support Mums in relaxation and taking time for themselves as well as free post-natal counselling for Mums suffering with anxiety. An Awards Evening to commemorate those Mums who complete this programme will be held, with players from Crewe Alexandra Ladies presenting the certificates. Another up-coming and glamorous event hosted by Motherwell is The Glitter Ball. It is a chance for Mums to pamper themselves and dress up for a buffet meal and disco to be held at Crewe Alexandra Football Club on Saturday September 10th. Tickets for this all-women event can be purchased at £25 per person. All money raised from The Glitter Ball will be put back into the Post-Natal element of Motherwell CIC. Cheshire East was singled out by the Electoral Commission to host a major international delegation of top election observers from a range of countries across the world. The Electoral Commission was keen for the delegation to learn about Cheshire East Council's election processes and its preparations for the EU referendum on June 23. The team of more than 40 delegates came from many countries, including Finland, Canada, Malta and Bangladesh. The delegation visited Macclesfield Town Hall on the day before the referendum, receiving a presentation from Brian Reed and Diane Todd from the Council’s democratic services team on UK election practice and procedure as well as specific details of Cheshire East’s preparations for the referendum. A presentation was also given on electoral fraud by recently retired police officer Peter Kidd. The delegation was interested in the complexities of electoral arrangements, Cheshire East’s very large proportion of postal voters and its commitment to serving its widely-dispersed communities by ensuring that voters could vote locally. Cheshire East Council Chief Executive Mike Suarez, who was the Counting Officer for the Borough’s referendum poll, said: “It as a tremendous honour and privilege to host such a distinguished international delegation to view our polling arrangements. On referendum day, delegates visited polling station, witnessing voting at first hand. Jenny Watson, chair of the Electoral Commission, thanked the Council for the ‘warm welcome’ it extended to the international visitors. She added: “It is clear from the feedback we have had that participants gained a huge amount from having the opportunity to see the process first hand and to speak directly to electoral services managers and colleagues about postal vote opening and wider preparations for polling day. Cheshire East Council has backed its revised Local Plan Strategy following comments and submissions during six weeks of public consultation. The blueprint, which will shape development across the Borough up to 2030, will now be forwarded for consideration by Planning Inspector Stephen Pratt. The Council has received a total of 19,572 representations from 4,679 members of the public or groups during the most recent consultation. The Council had already received more than 40,000 responses to the original draft Local Plan Strategy during nine previous rounds of public consultation. Councillor Ainsley Arnold, who is now overseeing the Local Plan process, said: “The Local Plan Strategy (LPS) is the Council’s most important tool for shaping development in Cheshire East up to 2030. “There has been a tremendous response from residents and other stakeholders during this latest – and nine previous – rounds of public consultations on our Local Plan proposals. “This must be one of the most-consulted on Local Plans in the country. However, given the changes made during examination and the significance of the plan, it was only right that people have been given full opportunity to reflect on this document and give their views. “To date, we have received a total of more than 60,000 responses in the various consultations to arrive at our draft LPS. This is an unprecedented level of interest in a council consultation process and I’m sure this additional period of consultation has allowed everyone to feel they have had time and opportunity to have their say. “I am pleased that the revised document is going forward and I am confident that the LPS is comprehensive and robust. The LPS includes a comprehensive suite of development sites to accommodate the larger scale of growth now expected and planned for in the Borough. The changes are being shared with the inspector and full details will be made available on our website shortly. The necessary changes have been shared with party group leaders, chairman and vice-chairman of the strategic planning board, and the portfolio holder Cllr Arnold. Now the revisions have been signed off under authority delegated to officers by full Council. At next week’s children and families overview and scrutiny committee we are expecting high public interest. The time available for public participation will be limited and it may not be possible to accommodate everybody. It would therefore be helpful if individuals, or spokespersons representing interested groups who wish to speak, would contact the Council in advance of the meeting by contacting the scrutiny team on 01270 686459. The meeting is being held to review a recent Cabinet decision to withdraw free school transport for five schools within Cheshire East. Although the scrutiny committee has no powers to overturn the decision, it may decide to ask Cabinet to review its original decision. Alternatively, it may decide that the original Cabinet decision should stand. Members of the public may attend the meeting to observe proceedings. There will be an opportunity for members of the public to make a statement to the committee prior to the matter being discussed. Members of Nantwich Cycling Group (NCG) completed a fund-raising charity cycle ride from London to Nantwich on Saturday 2nd July 2016. NCG left from Tower Bridge in the capital at 4am and arrived to Nantwich town square at 10.30pm following an arduous 220 mile journey. Ten cyclists, along with two support crew, took part in the mammoth journey. En route to Nantwich they passed iconic London landmarks before heading out through Windsor, Henley on Thames, Oxford and the Cotswolds. On arrival in Nantwich the cyclists and support crew were treated to food and drink at the Nantwich Book Shop & Coffee Lounge. Last year NCG cycled in the reverse direction from Nantwich to London in aid of Leighton Hospital and raised over £5,000. This year NCG are raising money for The Wingate Special Children’s Trust, based at the Wingate Centre, in Wrenbury - http://www.thewingatecentre.co.uk - and have already raised over £3,700. They chose The Wingate Special Children’s Trust because to maintain the Centre and to subsidise their student’s activities they have to raise £300,000 each year. Their state of the art gym makes a difference to the lives of children and adults of all abilities including those with extreme physical and learning difficulties. A representative from NCG said, "This has been an epic challenge and each of the riders should be immensely proud of what they have achieved. We would like to thank everyone who took part and all the members who helped to organise this successful event - you are all a credit to NCG. Thank you so much to all of the people who have donated, and a special thanks to Morrisons, Chatwins, Halfords, @trainingbytesize, Swanline Print, Strada Italian and the Nantwich Book Shop & Coffee Lounge for their donations of advertising, transport, water and food." NCG are a Cheshire based cycling group, run by its members at all levels from beginners, sportive enthusiast or even racers. Several events took place in Crewe to mark 100 years since the Battle of the Somme. On Thursday 30th June at Memorial Square there was a candlelit vigil featuring a reading of poems, letters and prayers. On Friday 1st July at Memorial Square there was a two-minute silence then whistles were sounded at 7:30am to mark 100 years to the minute since the battle began. On Friday 1st July at 1:30pm at Memorial Square there was an Act of Remembrance which included the placing of wooden crosses by local schoolchildren on the green space close to the giant poppy monument, with each cross bearing the name of a Crewe man killed in battle. Their names were also read out. On Saturday 2nd July at Crewe Lyceum Theatre there was a music, film and drama production to commemorate the Battle of the Somme. The Battle of the Somme began at 7.30am on 1st July 1916 and is the single bloodiest day in British military history. The British Army suffered a staggering 57,540 casualties that day, of which more than 19,000 were killed. The battle lasted until 18th November 1916 and was one of the costliest of the First World War. In total, more than one million soldiers were killed or wounded. Inheritance fraud usually occurs when you are told that someone very rich has died and you are in line to receive a huge inheritance. A fraudster who claims to be a Business Relations Manager from an overseas bank or legal official contacts you through email or a letter stating that a person sharing your family name has died and left behind a vast amount of money. The fraudster suggests that as you share the same family name as the deceased, you can be the beneficiary of the estate and rather than handing any ‘Inheritance Tax’ over to the government you can split the inheritance with the fraudster. Be aware that you’re now likely to be a target for other frauds. Fraudsters often share details about people they have successfully targeted or approached, using different identities to commit further frauds. People who have already fallen victim to fraudsters are particularly vulnerable to the fraud recovery fraud. This is when fraudsters contact people who’ve already lost money through fraud and claim to be law enforcement officers or lawyers. They’ll advise the victim that they can help them recover their lost money – but request a fee. Although there are legitimate companies who make a living by tracking down heirs, they do not do it in this way. If you are asked for a fee for a report, it is very likely to be bogus. Letters/documents provided by the fraudsters are generally badly written. Look out for spelling mistakes and poor grammar. Beware if you are asked to contact a webmail address such as @Yahoo or @Hotmail. As a rule, legitimate law firms do not use them. As in most cases of fraud, if the promise seems too good to be true, it most probably is. The Gundog and Game Fair takes place this weekend (July 9 and 10) at Court Farm, Betley and promises something for all the family. Visitors can expect a range of countryside activities on display and demonstrations and trade stands selling everything from country clothing and footwear brands to ice cream and dog accessories. There will be two demonstration arenas filled with displays including from Cornish personality Chris Green, who will be heading up north to provide an insight into his life and countryman ways. Gundog trainer Andy Cullen MBE will also be on hand to offer advice and tips on training gundogs plus much more. Local organiser Dave Ross, has lived in Betley all his life, wanted to bring a proper country event to Cheshire, when he set up the fair over five years ago. He owns and trains gundogs in his spare time and runs the show with his partner Deb, his mum Sue and dad Ian, so it’s a real Ross family affair. Dave said: “I've travelled the country from an early age with my dad attending game fairs and shows with our gundogs, competing in scurries. I realised that there was nothing in this area for people like me so I decided to set up the show and it's grown every year since and is now in its sixth year. "I’d personally like to invite local people along to The Gundog and Game Fair where they can expect to find a proper country event, where they can bring their families, and dogs, to be entertained with some great demonstrations in the main rings, but also have a go at things they may have fancied doing, but never got the chance, such as archery." As part of the weekend there will be have-a-go gundog scurries where people can try their hand at winning over £2,500 worth of prizes with their gundog. It's expected that there will be around 500 gundogs, travelling from all over the country, to enter the challenging scurries and working tests at the fair. Gundog scurries are against the clock and require a dog to retrieve canvas dummies back to their owners, in the fastest time, to win. Other attractions include chain saw carving, clay pigeon and air rifle shooting, falconry displays, fly fishing demonstrations, a kid’s zone, ferrets and terrier and lurcher racing which is guaranteed to entertain visitors. Visitors will also be able to buy a range of refreshments on site. The 8th annual ‘Vintage and Classic Transport Rally’ took place at The Elephant public house - http://theelephantpub.com - in Shavington on Sunday 3rd July 2016. Dozens of vehicles were on display on land at the rear of the premises. As space was limited the vehicle age limit was restricted to vehicles manufactured before and including 1985. Classic and vintage car manufactures to view included Austin, Aston Martin, BMW, Chevrolet, Fiat, Ford, Land Rover, Lotus, Mercedes, MG, Mini, Morris, Rolls-Royce, Rover, Saab, Triumph, Volvo, and VW. Classic motorbikes manufactures included BSA, Honda, Kawasaki, Norton, Suzuki, Triumph, and Yamaha. Vehicles that attracted particular attention were an impressively loud Ford GT40 racing car and a custom Chevrolet El Camino lowrider with hydraulic front 'hopping' action and the ability to dip on one side to have a wheel in the air! There were also classic tractors from Ferguson, Fordson and MF; pump engines; a bouncy castle; BBQ food served outside; and live music from the Salt City Jazz Men. The Elephant public house was also open as usual. Subject: Police are warning Cheshire residents not to fall victim to phone fraudsters posing as police officers. Cheshire Police are currently investigating an incident that occurred on 28th June relating to an elderly couple who received several phone calls from a man who said he was from the Metropolitan Police. The couple were told that their credit cards and bank account had been compromised, they were also informed that the offenders, who worked at the bank, had counterfeit money. The caller then advised the victims to withdraw as much cash as possible from their account as it may have been counterfeit. After withdrawing the money the couple then received another call telling them that a man would be coming to their home to pick up the money so that it could be checked. The offender is described as of Asian origin, approximately 5ft 5ins tall, with short black hair and possibly a moustache. The man was wearing dark clothing. Chief Inspector Mike Evans said: "This is an extremely callous act, and as a result of this incident the victims have lost a large amount of money. “In addition to this case we have also had other reports from residents in the Chester area that we believe have been targeted by the same offenders. Thankfully, in the other cases the victims have not fallen for the scam and no money was taken. “Although these incidents occurred In Chester, we know from past experience that phone frauds tend to happen more than once as offenders target the area before moving on to the next. “That’s why we are advising residents across the county to be aware of this latest scam and bear in mind the following advice if you receive a cold call." • If in doubt ask for the officer′s name, collar number and station and then hang up. Using a different phone, as the caller may still be linked to yours, call 101 to check the identity of the officer. Anyone with information about this incident contact Cheshire Police on 101 quoting 917 of 28 June 2016. Alternatively information can be given anonymously by contacting Crimestoppers on 0800 555 111. A service to commemorate and remember the centenary of the Battle of the Somme took place by the War Memorial on Nantwich town square on Friday 1st July 2016. Mayor of Cheshire East, Councillor Olivia Hunter, led the tributes on behalf of Cheshire East Council to the fallen from the First World War battle. There was a speech by the Lord Lieutenant of Cheshire, David Briggs MBE, on the Somme and the impact on Cheshire. There was a musical performance by Nantwich Young Voices who performed a medley of First World War songs. There were poetry readings by Head Girl and Head Boy at St Oswald’s CE Primary School, Olivia Palin and Logan Brooke, who read a modern interpretation of the meaning of Remembrance. There was a short Service of Remembrance led by Associate Rector of St Mary’s Nantwich, Rev Stephen Snelling. Wreaths were laid during this Service of Remembrance. Children from local schools laid flowers in memory of each of those named on the War Memorial, irrespective of the conflict in which they lost their life. The ceremony was attended by representatives from the Royal British Legion, Cheshire Regiment Association, Cheshire East Council and members of the public. A collection was made for the Royal British Legion Poppy Appeal. The Royal British Legion supports serving and ex-servicemen, women and their dependents who are in need, financially or otherwise. The Thiepval Memorial, on the site of the battlefields in northern France, contains the names of 73,357 soldiers who fell on the Somme between July 1916 and March 1918; including many soldiers from what is now Cheshire East.